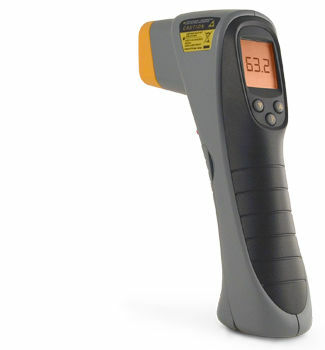 The 9952 non-contact thermometer uses the latest infrared measuring technologies for a professional-standard handheld IR thermometer. 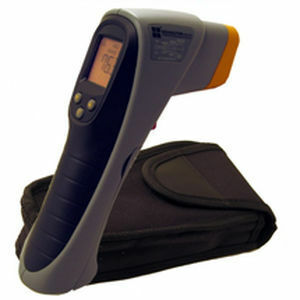 It has multiple modes of temperature measurement including maximum, minimum, average and ΔT temperatures, utilizing a 10-point data storage so you don’t lose your data.This high performance infrared thermometer has a measurement range of -25 ~ 999°F (-32 ~ 535°C) and features laser sighting, backlight LCD displays, and some of the highest distance to spot ratios in the industry. The ultra-low power consumption provides extended measuring reliability and makes it suitable for a variety of applications including semiconductor manufacturing and circuit terminal testing.